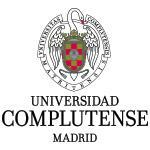 Objective: To characterize antimicrobial prescription patterns for dogs in veterinary practices in Spain using the city of Madrid as a model. Settings: Dogs attending veterinary practices in the city of Madrid in 2017 were enrolled. Subjects: Three hundred dogs from 30 veterinary practices randomly selected from a set of 388 practices grouped by zip code. The inclusion criterion for dogs was treatment with antibiotics within a few days of the data collection day. Results: For the 300 dogs enrolled, 374 treatments with antimicrobials were recorded, 62.8% (235/374) were veterinary medicinal products and 37.2% (139/374) human medicinal products. The main route of administration was oral (209/374; 55.9%) followed by parenteral (100/374; 26.7%) and topical (65/374; 17.4%). Sixty-five dogs (21.7%) received a perioperative antimicrobial treatment, mainly associated with female obstetrical surgery (19/65; 29%), while 78.3% (235/300) received a pharmaceutical treatment mainly for skin (72/235; 30.6%), respiratory (47/235; 20%), or digestive (41/235; 17.4%) diseases. The most frequently used antimicrobials were beta-lactams for oral (119/209) and parenteral (79/100) administration, especially the combination amoxicillin with clavulanic acid (83/209; oral), amoxicillin alone (42/100; parenteral), and aminoglycosides (32/65) for topical use. Diagnostic confirmation with culture was carried out on only 13 out of 235 dogs receiving therapeutic treatment and nine underwent an antimicrobial susceptibility test. In addition, cytology was performed in 15 dogs. Gomez-Poveda B. and Moreno MA.. AUTHORS: Gomez-Poveda B. and Moreno MA..